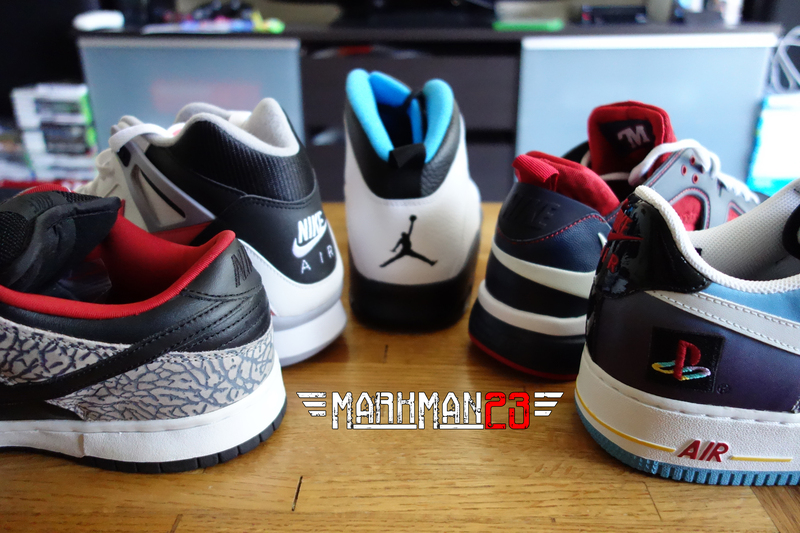 2014 First Quarter Review – Sneaker Pick-Ups! I have a lot of things that I’m fond of. Arcade sticks, video games and sneakers. One of my geekmode passions is studying design and history of products and the culture that stems from them. To me, that’s the best stuff… History. It may or may not be relevant to the general public, but to those in the know… It is a wealth of information that is appreciated and timeless. That’s what I love. It was my birthday yesterday. I’m old. Forgive me if my tastes do not align with yours, but it’s okay 😉 ! I decided to post my first quarter (first 4 months of 2014!) review of sneakers I’ve acquired or ‘pick-ups’ so far this year. Some of them crossover with my other passions, which you’ll notice right away in the video below! Bonus points if you know what song was used for that video or where it came from. Slap yourself if you said ‘Drum Line’ too! Below is my top 5 pick-ups from the first quarter (Jan. 1 – end of April) of 2014… and why they are special to me! Enjoy! The ‘PlayStation’ Nike Zoom Huarache Trainers were originally released in 2011 to coincide with the release of Sony’s MLB The Show ’11 for PlayStation 3. The shoe was a collaborative design between Nike Sportswear & the Minnesota Twins’ Joe Mauer, who was on the cover of the game. Featuring Nike’s huarache technology, which was created years prior by design legend Tinker Hatfield and aesthetic designs attributed to the Minnesota Twins uniforms, this collab saw a limited release online & availability at select Nike accounts. Why do I like it so much? 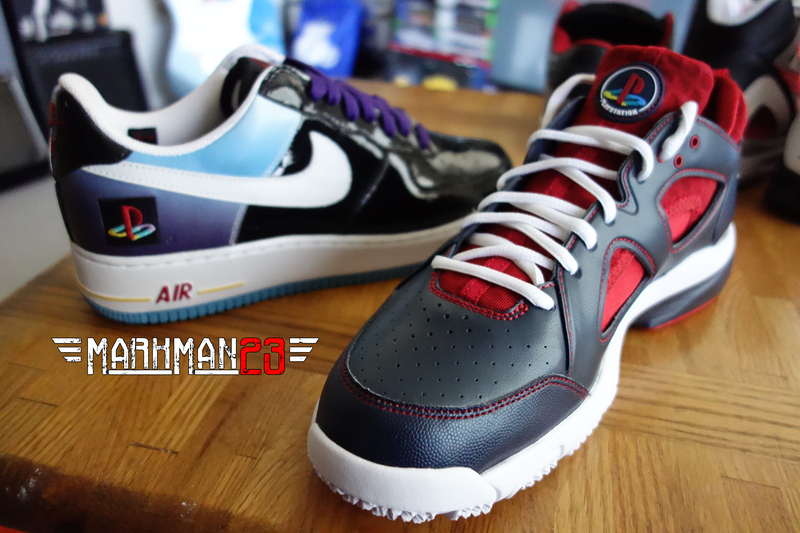 First off, it brings together two of my favorite things: Sneakers & video games! The heralded huarache technology makes these fit like a glove. Add the PlayStation branding on the tongue and you have a very hot sneaker. It was a no brainer for me. In the above picture you can see the trainer next to his older brother (which we will be discussing later) 😉 ! The Air Jordan 10 was first released during Jordan’s first retirement, in the year prior to his first comeback with the Chicago Bulls. This specific colorway was one of the original ones that released back during 1994/1995 and the 2014 retro was the first time it was ever re-released. The Air Jordan 10 holds a special place in my heart. Whenever I think about it, I think about the famous clip of Scottie Pippen beckoning his former teammate to come back to the game of basketball. I remember watching that game on live television and going crazy with excitement as it happened. I also love this specific colorway because well… blue is my favorite color. The combination of white/blue and hints of black just do it for me. It should be noted that the Air Jordan XI Columbias are my favorite shoes of all time (and they’re releasing later this year)! Hands down my favorite thing about the AJ10 is the sole with the list of accolades during MJ’s career. So sick! Andre Agassi. Nuff’ said. The 1990 French Open out on the open clay. 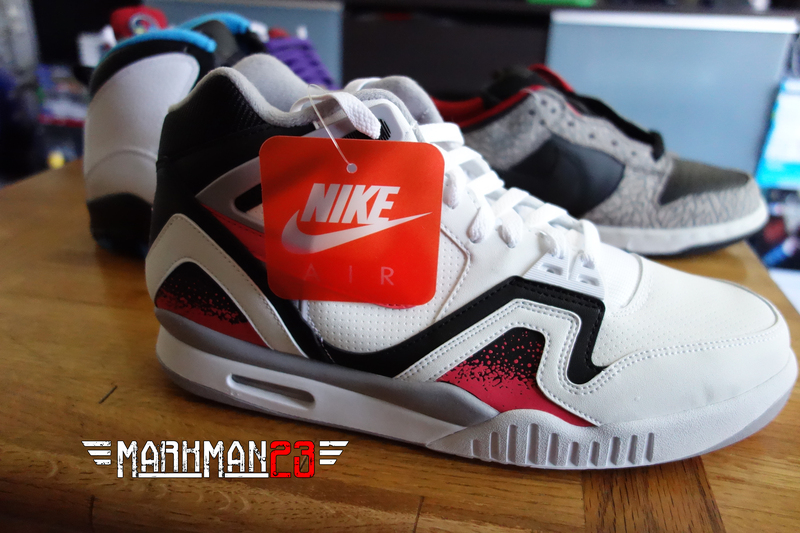 A young Agassi made it to the finals sporting his battle worn Nike Air Tech Challenge IIs in the hot lava colorway. Iconic balance of hair, clothes and sneakers? You bet. The mullet was in rare form that day. I actually got to meet Andre Agassi in downtown San Diego years back when I was still a kid. This was in 1992 when his popularity was in full swing. Both him and Brooke Shields passed by us in the Hyatt Hotel and stood around for awhile, I was 10 at the time and pulled together the courage to say “Good luck Andre, we love you!” And he smiled and waved before thanking us. I was a fan before that, but after that encounter I was a fan for life. Nike SBs eh? Back in 2002, before the hype beasts, before the hashtags, before the camp outs… There was a time where you would go to your local sneaker shop (or call) and see if they had the latest release. Nike Talk was a booming source of information and you were either in the know, or you weren’t. Huge change from nowadays. This collaboration came from that era. 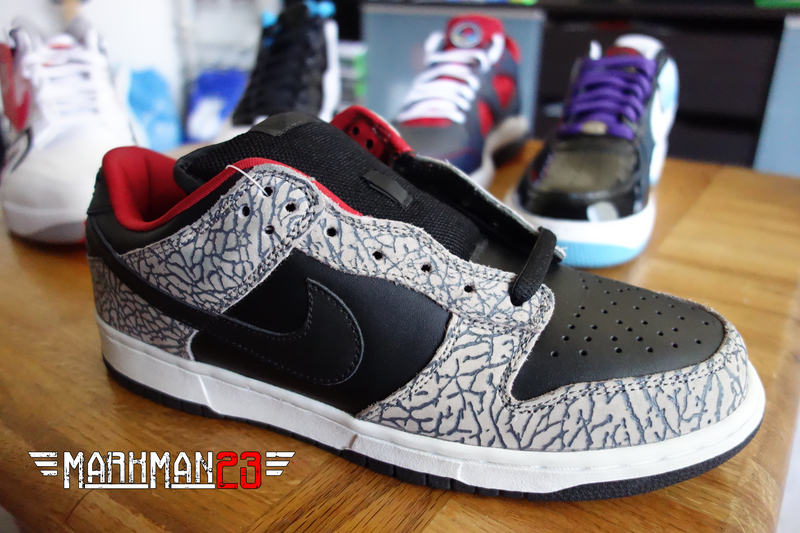 The Nike Dunk Low Pro SB featuring elephant print was a limited edition collaboration project between Supreme and Nike in the early days of Nike SB. Originally released in September 2002 in white/blue & elephant print design and a black/red & elephant print design (as pictured), the Nike Dunk Low Pro SB “Supreme” remains one of the most sought after SB dunks to this day (limited to 500 pairs being made each). 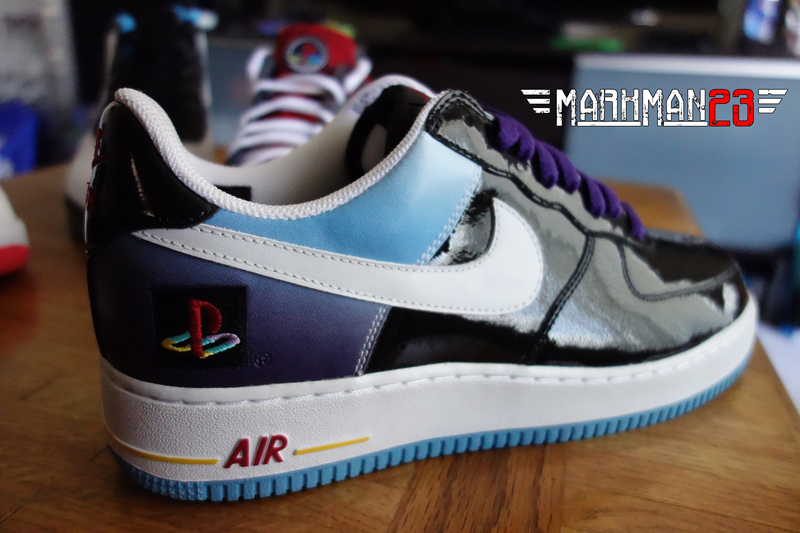 The Nike PlayStation Air Force 1 was first released in 2006 as a promotional item and joint collaboration between Nike and Sony Computer Entertainment of America. Only 150 pairs were released (individually numbered). The shoe was never sold at retail. In 2009, Sony reached out to Nike again to produce more of the now coveted sneaker. This time a limited run of 50 pairs(silver boxes) and 40 pairs (black boxes) were made (with slight differences from the 2006 version) and given to Sony employees/executives/media to help celebrate the upcoming 10th anniversary of the PlayStation 2 console. In 2012 Complex Magazine ranked the ‘PlayStation’ AF1 as #11 on their list of ‘The 100 Best Nike Air Force 1s of All Time’. A notable feat for a sneaker that was first released in 1982, which is now going on in age into it’s 30s. The legendary Bruce Kilgore (also did the Jordan 2) designed this iconic shoe that continues to impress decades after it first left his lab. Shortly after it was released, the sneaker was actually discontinued due to lack of sales. However in the New York tri-state area, the shoe began to pick up in popularity and was eventually re-released a few years later, and has been a regular ever since. In case you didn’t know. 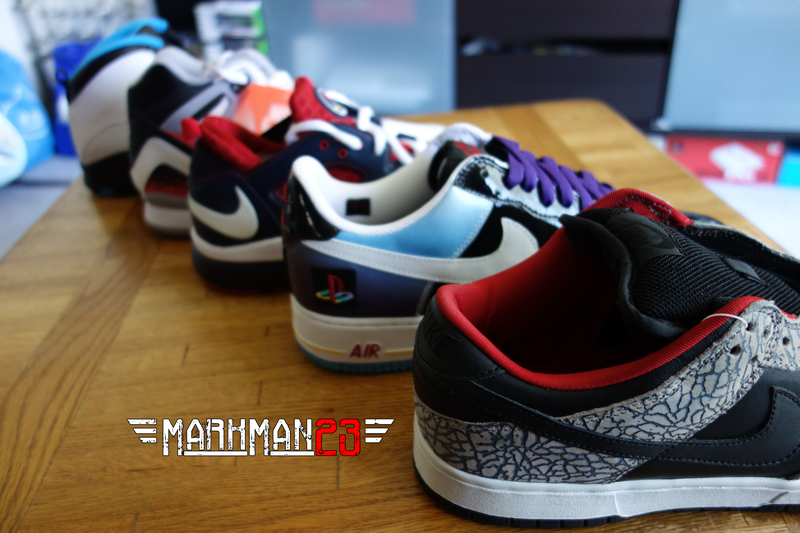 I like sneakers and video games a lot. I actually work in the gaming industry in product/design and marketing. I look at the sneaker trends & culture with inspiration often when creating products. The result, often times are amazing. I first saw this shoe in person at E3 2006. It was the same time that I met my good friend Alex Wang, better known to the internet as ‘retrokid.’ Yes, the same ‘retrokid’ that helped launch Sole Collector magazine and one of the true OGs of Nike Talk (NT). He was rocking’ them and we just talked about gaming/sneakers and our passions for both. Since then, I’ve been wanting a pair of these. Finally almost 8 years later, I got ’em! #112 out of 150 to be exact! I know a lot of people have been asking, ‘how much?’ – I don’t want to say. Just look up the going rate on eBay and other online sneaker retailers, that should give you an idea! What do you want to see next? Should I do this same style feature for arcade sticks? Video games? Let me know. BONUS: Here are some more pics from my 1st quarter of 2014 faves! jesus man. if i could go back in time, i would NOT have backed into that dude parked in the middle of the road, when i had no license…. i had to sell 12 pairs of DS J’s. stopped collecting ever since, but my love for shoes never died. your collection is amazing!